Providing your Singaporean staff with more opportunities to learn, grow and network by letting them attend events might just help in elevating your retention rates. This is especially because nearly nine in 10 Singaporeans (88%) aged 30 and under stated a vibrant local events scene is partly helping them boost their happiness levels. 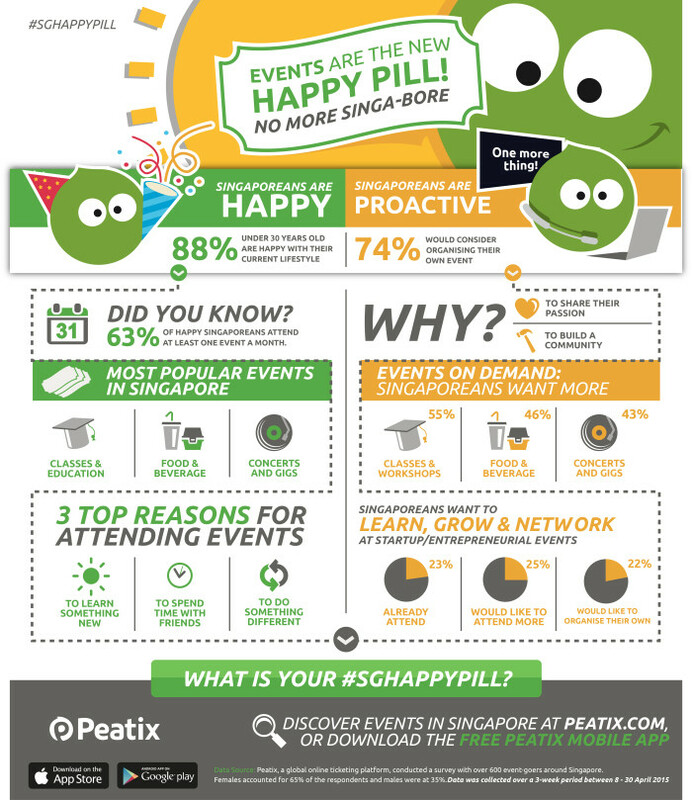 According to a survey by Peatix, 63% of happy respondents attended at least one event a month, compared to 49% of unhappy Singaporeans. Opportunities “to learn and experience something new” was stated by 74% of respondents as the top reason for attending events. This was followed by the ability “to spend time with friends” (45%) and “to do something different” (43%). The most attended events in Singapore were in the genres of food and drink (54%), classes and workshops (50%) and concerts and gigs (48%). Specifically, 23% of participants stated they would choose to attend startup and entrepreneurial events, with a quarter wanting to see more of such events here. Indeed, the survey found 22% of respondents who expressed an interest in organising events wanted to specifically host events to expand their professional network or promote their business. “Over the past few years there have been reports of Singaporeans being ‘under-happy’ at work, but based off these results it seems events can provide an avenue for much needed reprieve through meaningful experiences,” Takemura added.